Seedism - Cheese. Free US delivery. 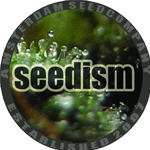 Cheese is a long-time favourite strain for many growers since the first clones were available in the UK, but until now Seedism had only released the CheeseWreck, their popular (Arcata) Trainwreck hybrid created by RDG's brainchild HazeMaster. Cheese seeds are created by selfing (S1) the Cheese clone we use for CheeseWreck which offers an incredibly strong flavored and lethargically potent experience. It is hard to describe the unique smell you get from the Cheese's flowers, but anyone that ever grew, smoked or even stood close to someone smoking it knows what Cheese is. 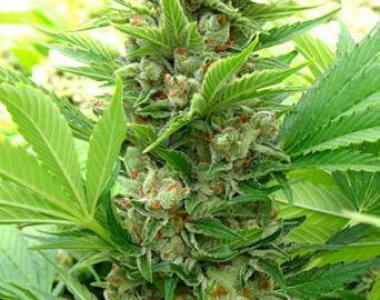 Seedism's Cheese is an easy plant to grow with good yields, although branch support is a must due to this strains tendency to grow side branches to the same height as its main stem. Our breeders are trying to recreate the original Cheese as we knew it from years ago and these limited edition seeds are the first generation on our two year quest to achieve this goal.